Sorry for posting this here if it's meant to go into support, but I'm really confused. I was told to put war2custom into the game folder and then run it by the readme, but it's instructions didn't quite prepare me for how to do the next part. I've no idea what a window class or caption is, and I'm not sure what to put for a file like warcraft 2. Can anyone help me out? 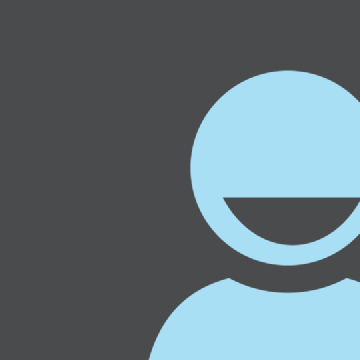 Re: How to use the colorfix? Hmmm would be nice to get my old HD and find lances version. I wonder if his color fix works for Windows 10. All you need to do is copy/paste it into the "War2combat" directory (see here) and all that information will automatically fil in. If you've done it correctly you won't even see that window, when you double click war2custom.exe Warcraft 2 will automatically start. All this fix does is close explorer.exe, which fixes the rainbow colors in the chat lobby, then restarts it when you close the game. 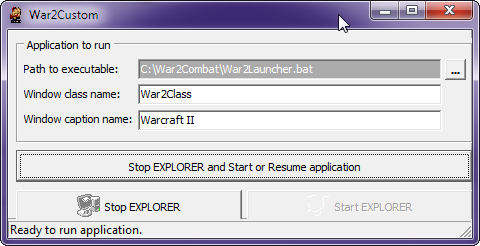 Default WC2 directory is C:\War2combat if you're using the latest version. Wow thats an old version of the custom client. Where the hell did he even find that lol? It might work, but I wouldnt recommend it since it will probably try to authenticate itself and would cause war2 to open very slowly since that site no longer exists. Best to stick to previous advice and DL the latest version of War2Combat instead since it's authentication method is still functional (iL's antihack does essentially the same thing that mine use to do when it tries to contact his pvpgn server). No man, it's the colorfix, completely separate thing made by naproxen that closes & restarts explorer. The file name is war2custom.exe is all. That's a very simple written software... and i would not use it, there are better ways to go about this now way better. Very annoying to kill explorer and can cause lots of issues. Is color messed up through out the game? Or just start up. How to solve it how to play in normal colors? Okay windows 7 so you need to download comabt 4.0.1 when you install check the box color fix win 7. I start War2Combat my game starts in full screen but in these colors, how to fix it how to play in normal colors?